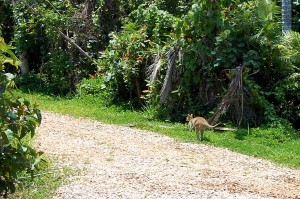 I went outside and spotted a medium sized wallaby doing some lawn maintenance. 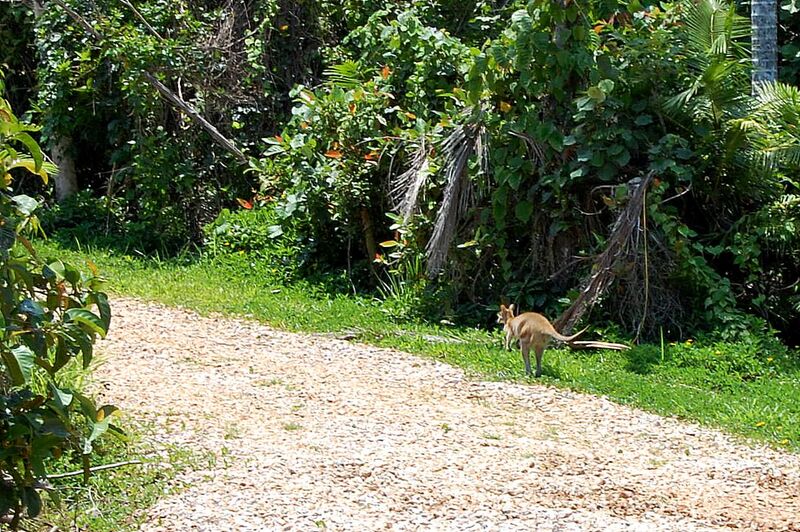 I grabbed the camera and was just about to click the shutter release when it was spooked by a noise from the forest. 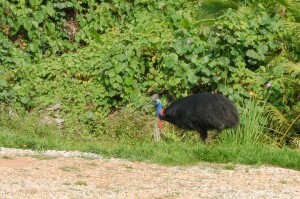 Yet another cassowary in the garden. I’m going to miss these when we move back home. 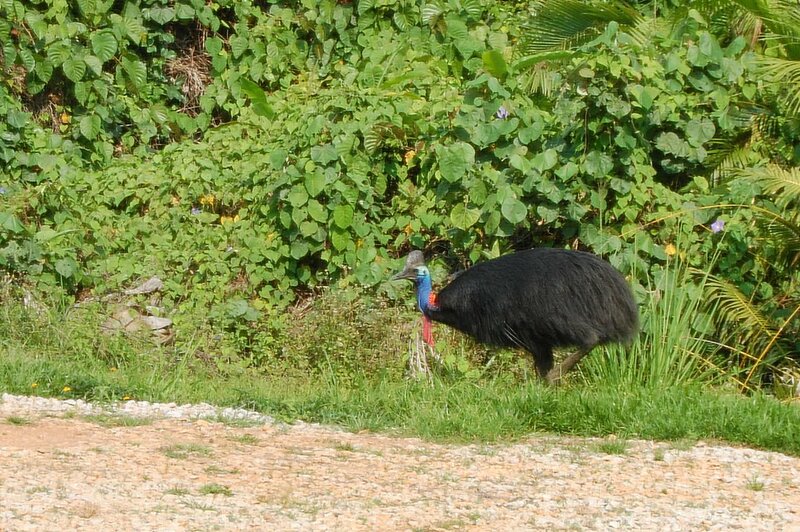 Cassowary having a dog-like shake of the feathers. And off. They don’t stay long because we don’t feed them. 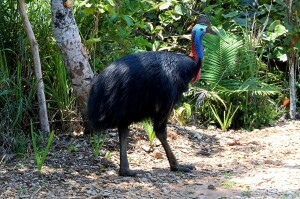 A fed cassowary is a dead cassowary. 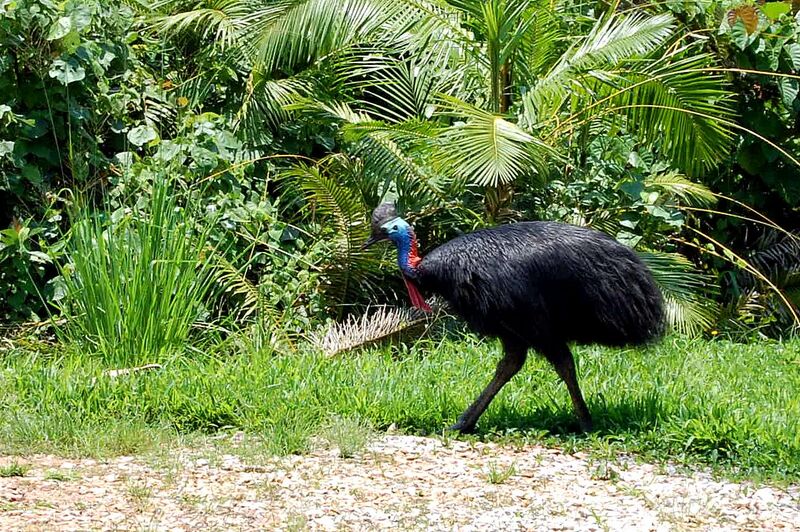 This entry was posted in Photography, Wildlife and tagged cassowary, far north queensland, fnq, Photography, rainforest, wallaby, wildlife on 2011-10-26 by pete. 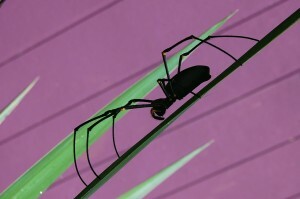 To give you some sense of scale this little lady is larger than my hand. Cute! 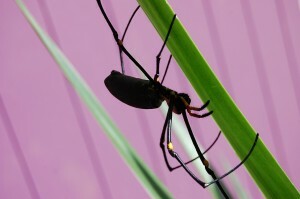 It’s probably a Nephila pilipes and also likely to be a juvenile female. You can read more about this baby on Wikipedia. There are nine male admirers sitting in her web and waiting for her to return. 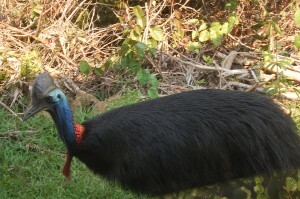 The males are probably 5% of the size of the female. Yes, they really are that small. This entry was posted in Photography, Wildlife and tagged far north queensland, fnq, golden orb-weaver, nephila pilipes, Photography, spider, wildlife on 2011-10-22 by pete. 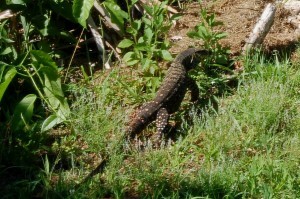 A fine specimen stomping through the garden and searching for breakfast. 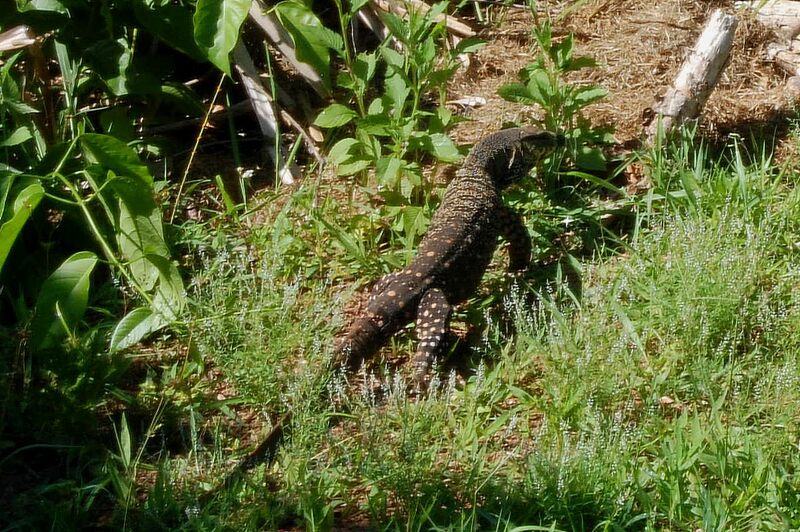 This big boy is about 1.5m (4 foot) long. 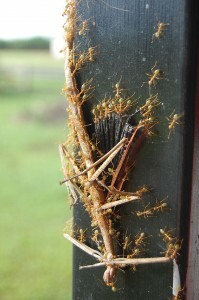 The usual stuff about taking photos through a fly screen applies. 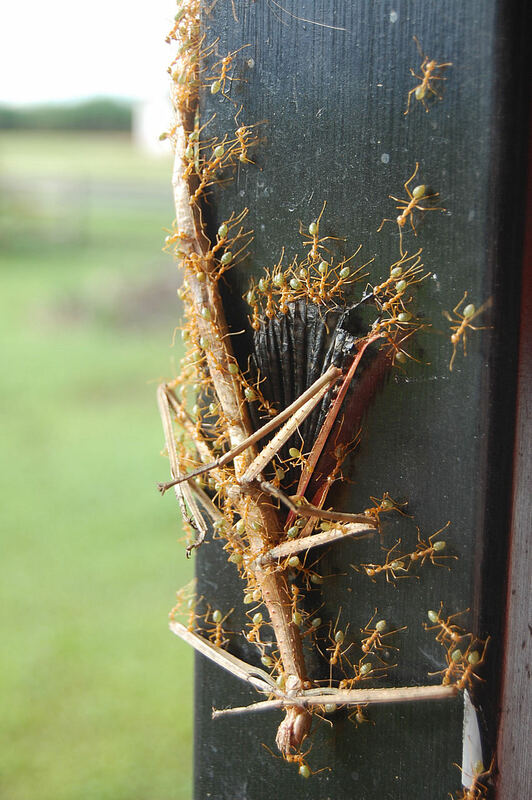 Click the thumbnail image for a much larger version, as always. 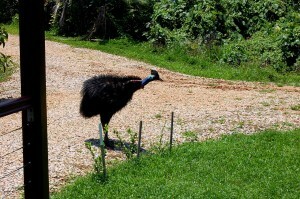 This entry was posted in Photography, Wildlife and tagged goanna, Photography, rainforest, wildlife on 2011-10-12 by pete. Another fine specimen wandering around the garden. As with the photo of the recent juvenile cassowary visitor these were taken through fly screens covering the louvred windows. 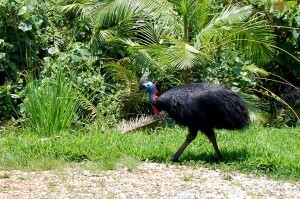 This entry was posted in Photography, Wildlife and tagged cassowary, fnq, garner's beach, Photography, wildlife on 2011-10-05 by pete.